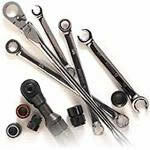 Matco Tools is a manufacturer and distributor of quality professional automotive equipment, tools and toolboxes. We offer over 13,000 products to our mobile tools franchisee owners, including hand tools, power tools, diagnostics, tool storage, heavy-duty tools, shop equipment, OEM-specified service tools and much more. Dedicated to providing the best product on the market, we're continually improving our hand-tools and introducing the latest in diagnostic, electronic and testing equipment to help your customers work smarter and faster. In addition, Matco Tools offers a full range of branded, high-end power tools that continually outperform the competition. So what are you waiting for? If you've always aspired to run your own business and be a part of one of the leading automotive equipment companies in the industry, then you owe it to yourself to learn more about owning a Matco Tools franchise today. At Matco, we understand that starting your own business can be financially trying. With our low start-up costs, we can offer a variety of options to fit your unique financial needs. You may also qualify for financing through our in-house financing department or an SBA Bank Loan. As a franchise owner, you'll benefit from over 60 years of national brand experience in the automotive equipment industry with our vast product line of over 13,000 of the highest quality tools and accessories in the business. In addition, you'll also become a team member of the Danaher group, recognized by professional automotive technicians around the world for their accuracy, durability, ergonomic design and value-added innovation. With The Right Tools, You Can Do Anything! that will help you generate revenue from day one. Please be assured that all answers and information you provide are secure and will not be shared with anyone outside of Matco Tools. 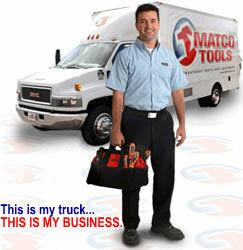 Click on Request Information for FREE info on how to open a Matco Tools franchise today! Please Note: This Matco Tools franchise opportunity and other franchise business opportunities, businesses and franchises for sale on this web site are not to be considered as an "offering", "franchise offering", suggestion or recommendation by Franchise Leader™. This advertisement depends entirely on the truthfulness of the information provided by our advertisers which includes, but is not limited to, franchisers, franchise brokers, franchise consultants and business brokers. Franchise Leader™ recommends that you consult a lawyer, financial consultant, accountant or professional advisor before buying a franchise or business opportunity or any type of business. By using this form or any part of our website, you have agreed to all terms and conditions of Franchise Leader™. Please review our Terms & Conditions for more information.